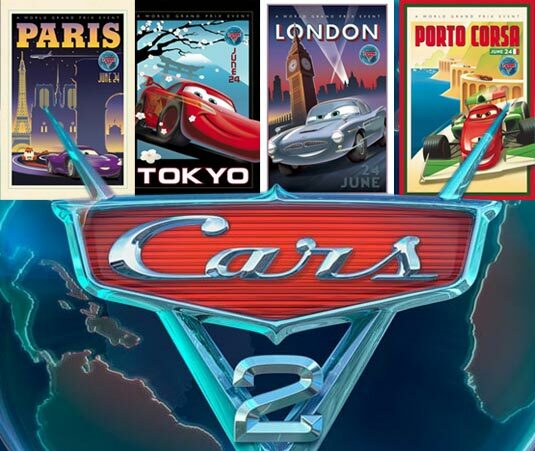 Discovering that the next Pixar sequel coming out was to be Cars 2 was disappointing. Finding out that it was going to feature Mater as an unwitting secret agent pulled into a plot where big gas is trying to keep “alternative” fuels down was astoundingly questionable. Keeping Lightning McQueen busy in a world-wide racing tour, forsaking the homegrown American audience that NASCAR provided, it appeared that the series was headed for disaster. Well, maybe it wasn’t a disaster, but it certainly is a considerable disappointment. No Pixar film will ever be less than a visual feast, but Cars 2 is either a mistake based on the maker’s love for fast cars and fun, or a more sinister attempt to capitalize on the franchise that has sold the most toys in Pixar history by giving the undiscriminating young boys and their parents more cars to buy, story be damned. Mater, a limited character if ever there was one, has his moments here, particularly the Wasabi scene, accompanied with the bathroom scene. Mostly he gets pushed around by the plot here, which loosely, weakly amounts to big oil, bad, hippie natural oil, good. Lightning McQueen is largely forgotten here, locked in a series of races with a formula one car that might as well have been played by Sacha Baron Cohen. The rest of the gang from Radiator Springs is along for the ride, for the most part, except for Newman’s Doc Hudson, for obvious reasons. As for the new characters, Cain and Mortimer turn up the British Agent to 11 and cruise. Cars that turn to planes, cars that turn to boats. Cars that whip out whatever gadget needed at any particular time. All of this prevents anyone watching who is past the age of 10 from any sense of drama or real tension. Sure, cars die here and there, but you know the good ones will make it, so who gives a darn? The visuals are striking. If we were to judge this film based solely on its animation qualities, then it would be a classic. The ocean is a blue-green hue, striking and rich. The races going from dirt to concrete to track have a similarly awesome effect. The sound, while not as encompassing as the first, NASCAR influenced film, is top-notch as well. Is this a good film? No, not really. If you have boys, be ready to hate all of it in about 5 showings. This is the one Pixar film one can live without buying for the collection. One movie does not make a trend, it just sells more toy cars. It is passable entertainment to put up with as those with less discerning expectations enjoy it without prejudice. When I was a child, I used to love H.R. Pufnstuf. While I can’t sit through an episode today, it still brings a smile to my face, because of the way it made me feel as a child. This movie is like that. 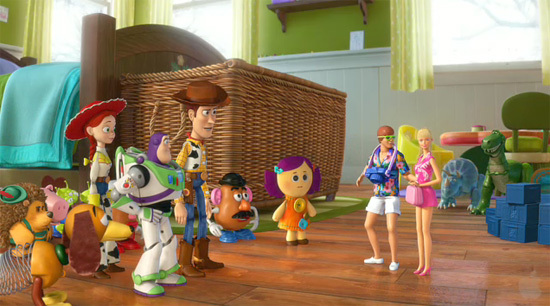 As a pleasant aside, the nearly 6 minute short included with the movie called Summer Vacation starring the gang from Toy Story. This 6 minutes of pure bliss, and much better than anything else in the main feature. I love your comment, it’s nice when you can tell somebody actuallly puts effort into a post, and gives the sites. If you set up notifications value. I absolutely cherish your blog!